Fact: You’re 23 times more likely to get in an auto accident if you text while driving. Whether you connect with family, friends or clients from your Android, texting saves time. However, there is a drawback – texting while driving can be detrimental to your safety and the safety of other drivers. According to statistics, more than 5500 people were involved in fatal auto accidents due to distractions while driving. Approximately 1/3 of those fatalities were directly associated with Texting While Driving. Statistics also show there were more than 1.5 million accidents combined due to distractions while driving. So, how can you avoid a fatal accident due to texting while driving? TXT ME L8R is the perfect solution from distracted driving due to texting. This easy-to-use, life-saving app disables your phone’s ability to send and receive text messages at a selected ‘texting speed limit’. 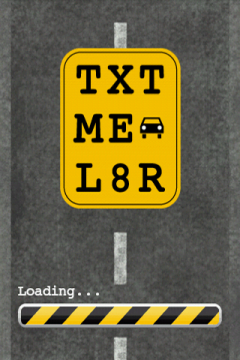 When you receive a text message, the TXT ME L8R app will automatically reply back to the sender “TXT ME L8R – I am Driving”. Depending on what state you live in, there is a “car mode speed limit” selection for the maximum speed limit for your jurisdiction. Parents, this app is perfect for teenagers. With TXT ME L8R, the TXT ME L8R Watcher program has to be installed as well. Both apps monitor each other so if the recipient decides to delete it, parents receive an instant text message and an email that TXT ME L8R has been deleted from the cell phone. You can’t go wrong with this app. It not only prevents accidents – it saves lives. Click here to purchase and download TXT ME L8R for only $0.99 per year.